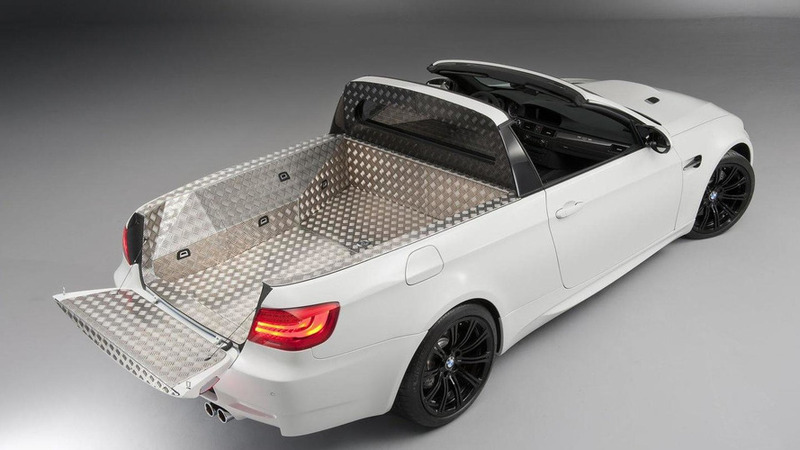 BMW promises they will never come out with a pickup truck because such a body style doesn't fit their brand image. 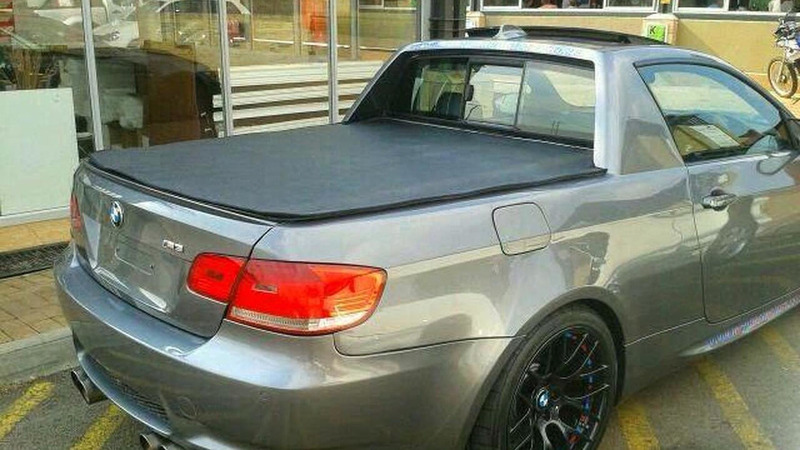 The owner of a BMW M3 decided to turn his high-performance coupe into a powerful pickup. Chief of product development cops to the M3 pickup being a joke. 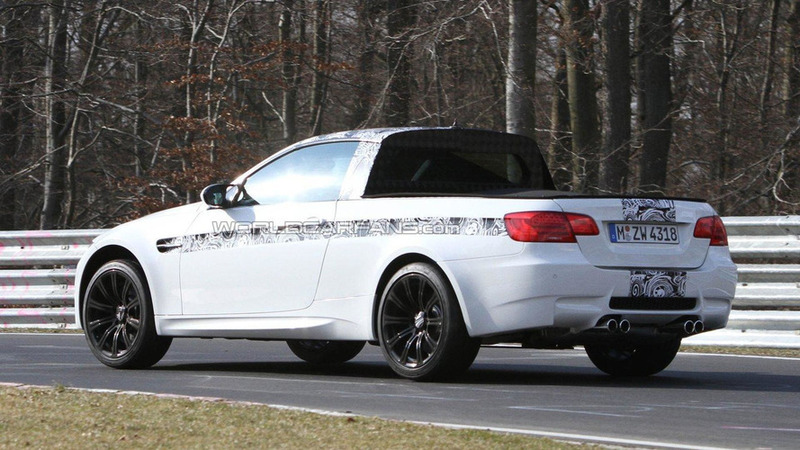 The model will be shown alongside several other unproduced M3-based prototypes at the very real M5 Concept debut on April 1st. 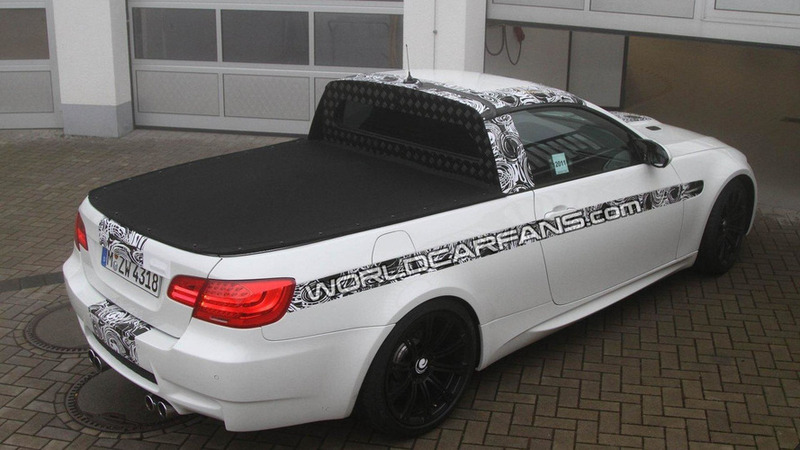 M3's rear half converted into a pickup bed as the prototype head's off for some lap runs on the Nürburgring.